i am lucky that my mom makes great salads complete with homemade dressing. i’ve had a love for salad since a young age. 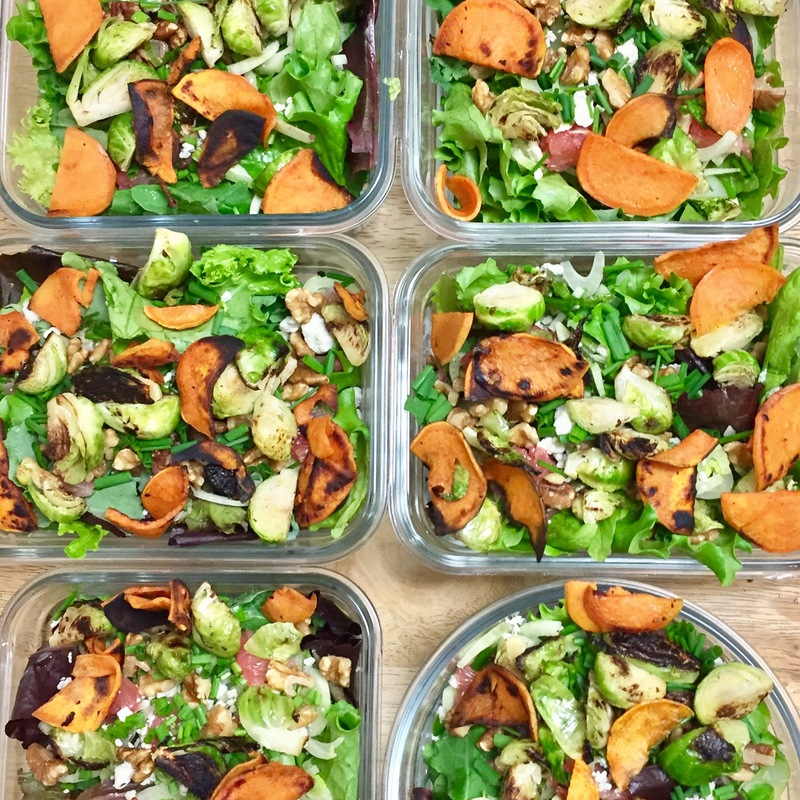 now, i make one large salad a week that we divy up into our glasslock containers (these things are life changing – they keep food so fresh!). this is a great way to put our CSA to use and create convenient daily doses of veggies. i rarely follow recipes for salads. it’s usually – what came in the produce box and what needs to go in the fridge/ pantry? i do like greens + veggies + a fruit + a cheese + nuts or seeds. lately, i’ve been cooking heartier veggies and topping the salad with them. this week’s salad is: lettuce, kale, chives, fennel, fried brussels, fried sweet potatoes, grapefruit, gorgonzola cheese, and pecans. i took a couple on the road with me for my trip to DC!